In urban and coastal locations, it can become necessary to protect your commercial premises from birds that find your restaurant, loading bay, roof, eaves or window ledges an attractive place to roost and congregate in. Rural commercial gardeners and produce growers can find their crops under attack from opportunist, hungry birds. Not only can birds be a nuisance and hamper productivity, but their presence introduces health risks which must be addressed at the earliest opportunity. The bacteria in bird droppings, also called guano, and secondary flea infestations can make what seems to be an unpleasant bird control situation a serious health and safety threat, please don’t ignore the potential issues. Licensed bird control specialists including Apex Environmental Services urge people with affected premises not to waste their time and energy on makeshift bird proofing measures. For efficiency and cost effectiveness always seek professional evaluation and bird control services which are proven to work and utilise the highest quality materials, expert knowledge and technology. There is also a legal aspect, clients are often surprised to learn that there is stringent legislation in place and that different species of birds are awarded varying levels of protection. Peace of mind can only be secured by utilising the skills of a highly regarded firm which works in accordance with the Wildlife & Countryside Act 1981 under General Licence and Natural England. Many clients find that an anti-bird netting installation achieves excellent and swift results. Designed to combat any size of infestation, the bird netting is discreet, enduring, humane and environmentally friendly. Anti-bird netting provides an impassable shield which stops birds from accessing open areas. They grow frustrated and move away from the exceptional quality netting to an easier location for them to access and roost in. Netting is available in a range of gauges including 19mm, 50mm and 75mm with the species of bird determining the optimum gauge. Common anti bird netting colours are black, stone and translucent so they won’t detract from the company’s signage or create a negative impression. Anti-bird netting installations benefit from being permanent or removable, as the client wishes. A perimeter framework cable is securely fastened using fixings and the tension in the cables is strengthened when the net has been attached. 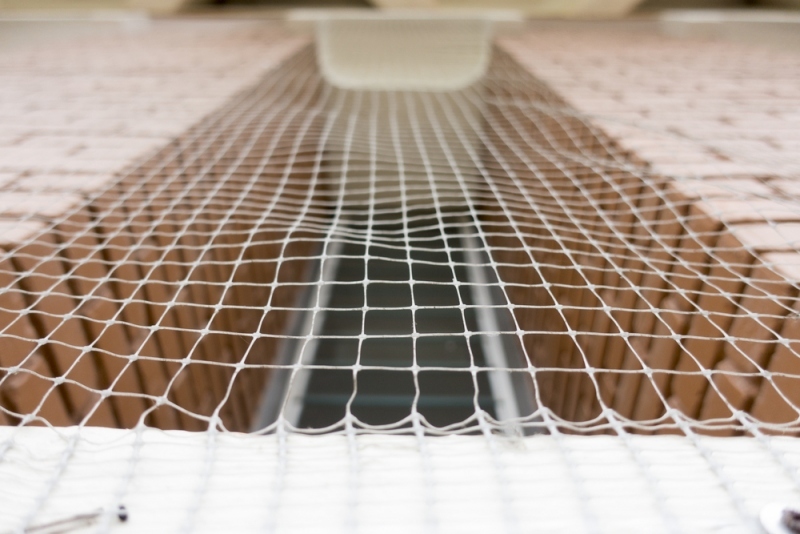 Anti-bird netting is resistant to environmental and chemical threats and won’t rust or rot. It will, however, ensure that bird activity is significantly reduced and with it, the distress of challenging an infestation. Leading experts in bird control services, Apex Environmental Services operate in Hampshire, Berkshire, Wiltshire, Avon, Buckinghamshire and Oxfordshire and they are eager to help you to resolve a bird infestation issue of any size.